Ludovic Morlot’s connection to Hector Berlioz goes deep. When he was 12, his parents moved to a house just a few miles from La Côte-Saint-André, the composer’s native village in the southeastern corner of France. “Symphonie fantastique” and “Nuits d’été” (with tenor Ian Bostridge), 7:30 p.m. Thursday, Nov. 2; 8 p.m. Saturday, Nov. 4; and 2 p.m. Sunday, Nov. 5. $22-$122. Berlioz’s Requiem, 7:30 p.m. Thursday, Nov. 9; and 8 p.m. Saturday, Nov. 11. $37-$122. All concerts at Benaroya Hall, 200 University St., Seattle (206-215-4747 or seattlesymphony.org). In November, the Seattle Symphony’s music director will conduct two programs devoted entirely to music by the 19th-century French composer. 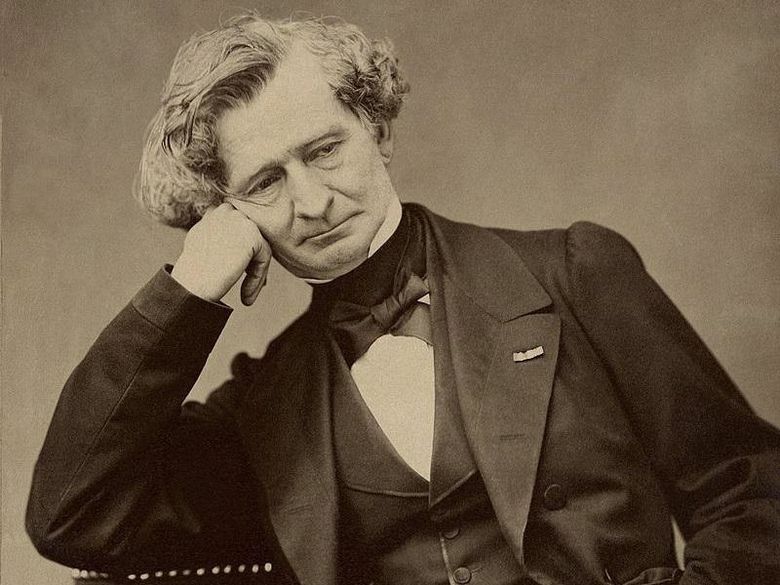 The first program (Nov. 2, 4 and 5) features Berlioz’s early breakthrough, “Symphonie fantastique” — a kind of sonic portrait of the young artist at his wildest extremes — as well as the orchestral song cycle “Les nuits d’été” (“Summer Nights”). The soloist for the latter will be the world-class British tenor Ian Bostridge. “Symphonie fantastique” — dating from 1830, just three years after the death of Beethoven — represents one of the big-bang moments of Romanticism. It opened up a vast new sense of potential for the modern orchestra. And it is also one of those rare works, like Stravinsky’s “Rite of Spring,” that still manage to sound revolutionary to contemporary ears. “The minute I started to become fascinated by conducting, Berlioz was a focus for me,” recalls Morlot, who was mentored while a student in London by the late Colin Davis, one of the most exciting Berlioz interpreters of the past half-century. Berlioz himself was an important conductor and also wrote a highly influential study of orchestration. The second program (Nov. 9 and 11) offers a rare chance to hear a live performance of the “Grande Messe des morts” — Berlioz’s setting of the Requiem, scored for a staggering array of forces. 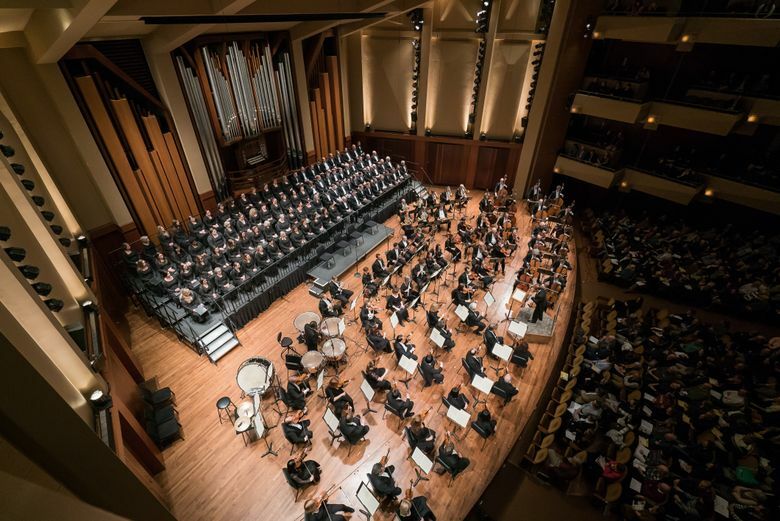 To accomplish that, Morlot will lead an expanded orchestra (12 timpanists alone) plus a chorus of 200: the combined voices of the Seattle Symphony Chorale and Seattle Pro Musica. In February and March, Morlot will make his Seattle Opera debut conducting Berlioz’s last major work: the comic opera “Béatrice et Bénédict,” based on Shakespeare’s “Much Ado About Nothing.” Its first-ever production of the opera, “Béatrice et Bénédict” will be the company’s contribution to a citywide celebration of the Bard. “The music is bolder than anything before, but the means to express it are no longer huge. The orchestra in this opera is so much smaller than what Berlioz had envisioned in those early works. It’s almost classical,” observes the conductor.